The PowerShot SX700 HS is Canon’s flagship pocket super-zoom for 2014. Successor to last year’s SX280 HS, the new model squeezes in a longer 30x optical zoom into its compact body, along with a 16 Megapixel CMOS sensor, 3in / 920k dot screen, 1080 / 60p movies, full manual control and built-in Wifi with NFC. The Canon PowerShot SX700 HS is a compact super-zoom camera with an impressive 30x optical range. Announced in February 2014 it’s Canon’s flagship compact super-zoom offering not just the longest range in this form factor, but also full manual control as well as built-in Wifi with NFC for easy wireless sharing. Its 16.1 Megapixel back-illuminated CMOS sensor is coupled with Canon’s latest Digic 6 processor to provide good low-light performance, 1080p60 HD video as well as slow motion modes, fast burst shooting and no fewer than 58 scenes types in Smart Auto mode for point-and-shoot operation. 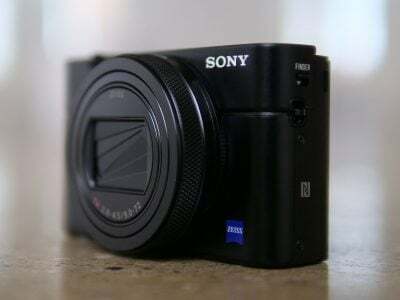 Announced almost simultaneously, Sony’s latest CyberShot HX60V also sports a 30x optical zoom. Sony was the first to reach the 30x zoom landmark a year earlier with the HX50V and its successor sports the same lens but with improved image stabilisation. Other enhancements on the latest Sony include NFC for quick Wifi connection using a compatible smartphone, built-in GPS, a faster BIONZ processor and installable apps. And a month prior to both the Canon and Sony models, Panasonic announced the latest in its long running and hugely popular travel zoom line, the Lumix TZ60 / ZS40. Now also with a 30x optical zoom, the TZ30 / ZS40’s other features include a new built-in viewfinder, 18 Megapixel sensor, built-in Wifi with NFC plus a GPS receiver. The TZ60 / ZS40 also has a programmable lens control ring and can shoot RAW – those features, particularly the new viewfinder will win it even more friends among enthusiasts looking for a long zoom combined with great control in a compact form. In my review I’ve compared all three of these models, so if you’re in the market for a 30x compact-super zoom you’ll find everything you need right here. Before we get started though, a quick note about the Sony HX60V which is not available in North America. Don’t worry though, last year’s HX50 is still on sale (Worldwide) and shares the same lens and body, not to mention essentially the same quality; note there’s also an HX50V in some regions which adds GPS to the camera. Due to their similarities and availability, I’ll refer to the Sony throughout my review as the HX50V / HX60V and mention any differences where relevant. The Canon PowerShot SX700 HS isn’t as pocketable as the soap bar shapes of the smaller PowerShot SX models – the 18x PowerShot SX600 HS for example – but it’s not far off. With dimensions of 113x66x34.8mm and weighing 269g with battery and card fitted, it’ll fit comfortably in a jacket pocket – I even managed to pop it in the rear pocket of my jeans. The Panasonic Lumix TZ60 / ZS40 is marginally smaller at 111x64x34.4mm and at 240g a bit lighter too, quite an achievement when you consider it also has a built-in viewfinder and GPS. The Sony Cyber-shot HX50V / HX60V is a similar width and height, but at 108x64x38.3mm it’s a fair bit thicker giving it a much chunkier appearance. Viewed from the top the PowerShot SX700 HS’s body appears to curve backwards at the sides giving a slightly convex appearance which is aesthetically quite pleasing. It’s mirrored by the rise and fall of the top panel which bulges above the lens to accommodate the Wifi antenna. The top panel controls are limited to the large silver shutter release button with its black zoom collar, flanked on the left by the smaller flush On/Off button and the movie record button on the right. There’s a substantial (for a compact) grip on the front right side of the body but no thumb pad on the rear, so your thumb sits rather awkwardly in the narrow space between the mode dial and the screen edge. Below the mode dial four buttons surround the rear mounted control dial; above it is the playback button and a new button introduced on recent Wifi equipped PowerShot compacts which initiates a Wifi connection with your smartphone. Below the control dial you’ll find a button for toggling display overlays alongside the menu button. The control dial itself follows the by now familiar Canon arrangement with exposure compensation, flash mode, self-timer and focus options at the cardinal points with the top and bottom buttons doubling up for Wifi and delete in playback mode. The SX700 HS has a three inch, 922k dot LCD screen. The PureColor II G screen is bright and contrasty, remains viewable from wide horizontal and vertical angles and provides a very detailed view of what’s in the frame in all but the brightest conditions. It’s a little disappointing not to find a touch-screen on the Canon, Sony or Panasonic flagship pocket super-zooms in 2014. When it comes to composition the major differentiator between the three is that the Panasonic TZ60 / ZS40 is the only one to sport a built-in electronic viewfinder. You wouldn’t want to use this all the time due to its small size and coarse resolution, but with a wealth of overlay information and 100 percent field of view, it’s much more than just a sunny weather fall-back. Note Sony offers an optional electronic viewfinder accessory for the HX50V / HX60V which slides onto the hotshoe, but while it delivers a high quality image, the equally high price will prevent most from fitting it. Though not equipped with a hotshoe, the PowerShot SX700 HS has a built-in flash with a maximum range of 3.5m at the wide angle lens setting. Pressing a small button on the left of the body releases the flash which extends on a spring-actuated arm. Once raised you can use the right position on the control dial to select from auto, on, off and slow synchro modes. The Sony HX50V / HX60V has a similar arrangement whereas the Lumix TZ60 / ZS40’s built-in flash is positioned in the front panel directly below the shutter release (watch those fingers). These ranges are calculated at Auto ISO, but assuming that’s 1600 ISO (which is usually the case), the Lumix TZ60 / ZS40’s flash is more powerful with a range of 6.4 metres at the wide angle lens setting. The same goes for the HX50V / HX60V, with a range of 5.6m, not quite up to the Lumix TZ60 / ZS40, but again it also has a hot shoe / accessory port, so you can mount an external flash if you need more power. On the bottom right of the SX700 HS a hinged door provides access to the combined battery and card compartment. The SX700 HS takes SD cards which slot in just behind the NB-6LH battery. The battery provides enough power to take 250 shots, pretty meagre by modern standards. By comparison, the HX50V / HX60V manages a whopping 400 shots on a single charge and the Lumix TZ60 / ZS40 will give you 300. Also, you can charge both the Sony or Panasonic over USB either using the supplied AC adapter or by plugging them into a USB port on a laptop, a distinct advantage if your travelling with a computer. You can even plug them into a suitable USB port in a car, coach or plane for a crafty topup. So on the face of it the SX700 HS delivers unremarkable battery life, but put it into Eco mode and it’ll stretch to a more respectable 360 shots. Eco mode conserves battery power by dimming the screen after a two-second delay, then turning it off after a further 10 second delay. Eventually, after three minutes of inactivity the camera turns itself off completely. It’s a practical way to make the battery go further, but if you like to keep the camera powered up and ready to shoot at a moment’s notice a second battery would be a wise investment. The battery is recharged outside the camera in a supplied AC charger. Before moving on, it’s worth talking about battery life a little more, and in particular the issues which faced the earlier SX280 HS. When Gordon tested one of the first SX280 HS’s one year ago, he discovered that a healthy battery indicator when taking stills could suddenly turn red and start flashing as soon as you started to record video. Canon recognized the problem and issued an update which fixed our sample, although some owners continued to report battery issues even following an update. I wanted to make sure the same problems didn’t plague the SX700 HS, so put it through a battery test with lots of switching between video and stills and back again – something the SX280 HS prior to the fix would have had serious problems with. I started with a fully charged battery, then filmed a 1080p movie for 16 minutes and 25 seconds (a 4GB file), then shot ten still photos. I then repeated this with another 16:25 / 4GB video, followed by another ten stills. Then a third 4GB video and another ten photos, and still no battery warning icon. During my fourth movie, the battery icon did start to flash, but I still managed to film another 4GB 16.5 minute file, followed by ten more photos. Out of curiousity I then powered the camera down and back up again, at which point the battery icon displayed two bars. I started to film another movie, and this time the low battery started flashing at five minutes and finally expired at 6:41. So in this test the SX700 HS managed to film over 72 minutes worth of 1080p video and shoot 40 still photos on a single charge, including switching between stills and movies multiple times. Again this is something which would have been impossible for the original SX280 HS release, so while the SX700 HS may not share the same battery life of its latest rivals, I can at least report it doesn’t share the issues of its predecessor. The Canon PowerShot SX700 HS has a 30x optical zoom with a 35mm equivalent range of 25-750mm and a maximum aperture of f3.2-6.9. This is quite an amazing zoom range to be able to carry around in your pocket; a little more than a year ago you’d have been carrying around a much bigger, heavier body if you wanted this kind of reach. Now you’re spoilt for choice and both the Lumix TZ60 / ZS40 and the Sony HX50V / HX60V also pack a 30x range. But both of those models start at a slightly wider 24mm wide angle and fall short of the PowerShot SX700 HS’s telephoto reach by 30mm – so that’s a 24-720mm range compared with 25-750. 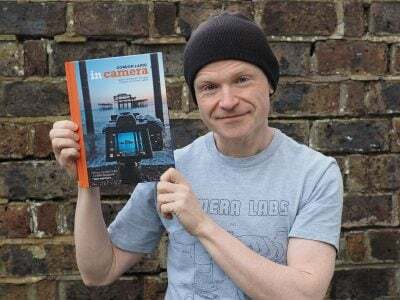 In practice the difference is barely noticeable, but if you’re stuck in a tight corner, the fractionally wider Sony and Panasonic may be more useful – and lest we forget, both also offer panorama modes for capturing really wide field of views which the Canon lacks. As well as a fractionally longer telephoto, the PowerShot SX700 HS helps you get the most out of it. One of the frustrations of shooting with a long telephoto is that it’s easy to lose track of your subject, necessitating zooming out to locate it, then back in again. Press the Framing Assist button on the left side of SX700 HS and the lens quickly zooms out while at the same time displaying a frame showing your original zoom magnification. That allows you to locate your subject and reframe before releasing the button which quickly zooms you right back in again. It’s a simple idea introduced on an earlier SX model and it works really well. The PowerShot SX700’s f3.2-6.9 maximum aperture is a tiny bit brighter than the Lumix TZ60 / ZS40 (f3.3-6.4) and the Sony HX50V / HX60V (f3.5-6.3) at the wide angle, but not so bright when fully zoomed in. The differences are pretty marginal though. Interestingly, there is a difference in the middle of the range, with the HX50V / HX60V closing down more quickly. In my quality tests at 173mm equivalent I was able to shoot at f5.6 with the PowerShot SX700 HS and the Lumix TZ60 / ZS40, but the maximum aperture available at the same focal length on the Sony HX50V / HX60V was f6.3. The SX700 HS is equipped with Canon’s Intelligent IS image stabilisation which shifts the lens elements to compensate for camera movement. Intelligent IS has three positions, selected from the shooting menu, off, shoot only, and continuous. To test it I took a sequence of shots in fading light at progressively slower shutter speeds with the lens zoomed to its maximum 750mm focal length. As you can see from the crops below, the SX700 HS can take sharp hand-held shots at speeds down to 1/25th, that’s a very impressive five stops of stabilisation. 100% crop , 4.5-135mm at 135mm, 100 ISO, 1/25th, Intelligent IS off. 100% crop , 4.5-135mm at 135mm, 100 ISO, 1/25th, Intelligent IS Continuous. The SX700 HS has the full complement of PASM modes which are selected from the mode dial. In manual mode the aperture range at the wide angle lens setting is f3.2-f8 in 1/3EV increments though at the telephoto end of the zoom range it’s limited to f6.9-f8. The shutter speed range is 15 seconds to 1/3200. Like all Canon compacts it also has a range of point-and-shot modes including Smart Auto which will work out everything for you using scene detection. The SX700 HS can interpret 58 scene types including subjects which are in motion, backlit, in shadow, smiling or even sleeping, including two additional scenes for smiling or sleeping babies. Program Auto mode doesn’t use scene detection, but instead gives you control over the camera’s functions including ISO sensitivity, white balance, metering mode and exposure compensation. It also unlocks a lot of options on the shooting menu that aren’t available in Smart Auto mode including AF mode, frame size and i-Contrast (shadow detail enhancement). You can also access the various focus options including manual focus; essentially, where Smart Auto locks down all but a small subset of the SX700 HS’s features, Program Auto mode lets you access all of them but takes care of the exposure for you. Other options on the mode dial include Scene modes, Creative effect filters and Live View control – results based jargon-free adjustment of exposure, saturation and white balance. With the mode dial in the Scene position individual scene modes are chosen using the Func. Set button and as well as the usual Portrait, Low light, Snow, and Fireworks options you’ll find the composite Handheld NightScene mode (more about that on the noise results page), High-speed burst and Smart Shutter mode, which uses face detection to automatically take pictures when people smile, or activate the shutter with a wink. Anyone who owns a recent Canon compact will be familiar with the Creative filter effects, the SX700 HS also includes the Creative Shot mode. Introduced on the PowerShot N100 and also included on the SX600 HS, this is an extension of filter effects which automatically applies a selection of them to a shot to produce six variations. The SX700 HS uses scene detection to determine which effects to apply or you can select from a number of presets – the one shown below is Retro – and it also crops some images to produce new compositions. All six versions are then displayed for a couple of seconds and if you press the Func Set button you can review them individually though, of course, you can play them back at any time just like other shots. The mode dial also has a dedicated slot for the Sports scene mode as well a movie mode position which I’ll talk about more in the movie section below. The PowerShot SX700 HS has face detect AF which defaults to a 9-point system if no faces are detected in the frame. You can also opt for a centre area mode with two frame sizes as well as tracking AF. You can also set the focus manually and while it’s never an easy thing to do on a compact screen, the screen magnification, distance scale and focus peaking make the task much simpler than it would otherwise be. The Canon PowerShot SX700 HS can record Full HD movies with stereo sound and control over the optical zoom while you’re filming. The best quality mode is 1080p60 with 1080p30 720p30 and VGA also at 30fps.There’s a dedicated movie mode on the dial, but you can actually start recording video from any mode by simply pressing the red record button on the back. This may sound like it renders the movie mode position on the dial redundant, but selecting it puts the screen into 16:9 mode for more accurate framing and also allows selection of iFrame and Super Slow Motion modes from the Func. Set menu. Canon recommends using an SD memory card rated at Class 6 or quicker for movies. The maximum recording time is when the file reaches a second shy of half an hour or 4GB in size, or of course if the battery runs out first. Moving on, once you start filming the exposure control is fully automatic, although if preferred, you can lock the exposure or adjust it in a +/-2EV range prior to filming. Some of the Creative Effects can also be applied to movies, although others are ignored. Press the movie record button while Fisheye, Toy Camera or Soft Focus are selected and the camera will just ignore them and film as normal, but it will apply the Monochrome, Super Vivid, Poster or Miniature effects to video. In a bizarre approach inherited from earlier Canon compacts though the Miniature mode ignores whatever movie quality you’ve previously selected and uses the still photo shape to dictate the video format. With the photos set to the default 4:3 shape for the best photo quality, Miniature movies will only be recorded in VGA resolution. If you want widescreen HD Miniature movies, you’ll first need to set the photo shape to 16:9, and even then the Miniature mode will only record video at 720p, not 1080p. This remains a very odd way of doing things, when Canon should simply apply the desired movie format to any mode, or offer Miniature effects direct from the dedicated movie mode. Either way, you can see an example below. The SX700 HS also inherits the slow motion capabilities of earlier PowerShot models, offering the choice of QVGA (320×240) at 240fps or VGA (640×480) at 120fps. These are fun to use, but it’s a shame Canon still hasn’t taken the opportunity to upgrade them to something more useful. The Lumix TZ60 / ZS40, like its predecessor offers VGA at 200fps or 720p HD at 100fps, the latter delivering really nice quality and footage that can be integrated more seamlessly into widescreen HD projects. A Dynamic IS mode improves stabilization although with a slight crop of the field of view. If you’d like to capture the same field of view as stills, you should change the IS mode in the menu and accept slightly reduced stabilization performance. I used the default Dynamic IS mode 1 which applies a crop for all my sample videos below and as you’ll see it proved very effective even when panning handheld with the camera zoomed all the way in. This clip, like the others below was shot using the PowerShot SX700 HS’s best quality 1080p60 video mode. The quality of the video is very nice and the image stabilisation does a good job on the wide-angle pan and even copes pretty well at the the 750mm maximum zoom, though some shaking at this magnification is inevitable. For this tripod mounted pan the image stabilisation was turned off. The highlights are blown but then there’s a very wide brightness range in this scene. As with the previous clip, I’ve used the zoom here in the slower of its two speeds where the motor is just audible. Two things stand out in this interior low-light pan. It’s quite noisy and the exposure reacts rather vigorously when panning past the windows, something all the recent PowerShots I’ve tested are prone to. To test the continuous AF performance of the PowerShot SX700 HS I zoomed the lens in a little and panned from the close-up coffee cup to the bar and back again several times. The PowerShot SX700 HS’s small sensor and lens aperture don’t make for particularly shallow depth of field, all the same, the autofocus does a good job of tracking from the coffee cup to the bar and back. Here’s the PowerShot SX700 HS miniature mode in action on the middle 10x speed setting. Don’t forget to set the photo aspect ratio to 16:9 if you want miniature videos in (720p) HD widescreen! Like its recent siblings, the SX700 HS has built-in Wifi which allows you to transfer images wirelessly. 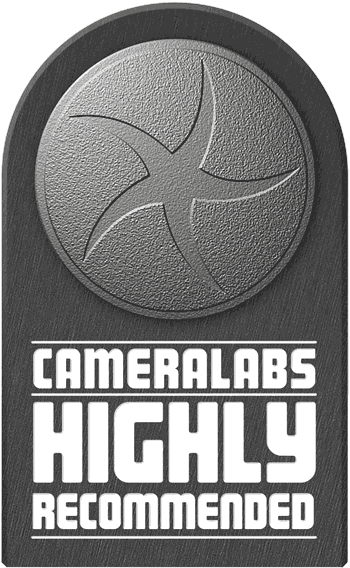 Unlike the earlier SX280 HS though, it also allows you to shoot remotely using the CameraWindow app. Regardless of the mode set on the camera, for remote shooting it’s placed in Program Auto mode and during remote shooting all of the camera’s controls (with the exception of the On/Off button) are disabled. To test the wifi features of the PowerShot SX700 HS I used my iPhone 4S. To connect to the camera you press the phone button on the rear, this turns the Wifi on so you can connect to the displayed SSID. Once that’s done launching, Canon’s CameraWindow app allows you to transfer images and remotely control the camera. If you own an NFC capable phone none of this is necessary though, as you can connect the two devices simply by tapping them together. The CameraWindow iOS app offers fairly basic remote shooting features, especially compared with its equivalent on Wi-fi equipped Panasonic compacts. You can zoom in and out remotely – a slider and nudge buttons on the app provide the same level of control as on the camera – but other than the option to set either a 2 or 10-second self timer that’s about it. You can set the flash mode – provided you first pop it up on the camera and you can take a shot by pressing the big shutter release button at the bottom of the screen. The CameraWindow app also allows you to view all of the images on the camera and transfer them to your phone. And though the PowerShot SX700 HS lacks a built-in GPS receiver you can use your phone’s GPS to record a track log then append the GPS data to images in the camera. It’s a little more involved than using a built-in GPS which you just turn on and forget about, but a feature worth having nonetheless. It’s also possible to wirelessly transfer photos to a computer, the Web, a suitably equipped printer or another camera by pressing the up button on the four-way controller during playback. If you want more detail about how that works head over to the Wifi section of Gordon’s Canon PowerShot SX280 HS review. The PowerShot SX700 HS starts up swiftly, extends the lens and is ready to take a shot in about one and a half seconds. The biggest handling issue I had was with the zoom control which displays a scale showing the extent of the zoom. It isn’t linear and at the half way point you’re only zoomed in to around 175mm. To get to roughly half-way – around 375mm – it’s necessary to go almost all the way to the end of the scale. The SX700 HS isn’t unique in this respect, but the Lumix TZ60 / ZS40 provides a more realistic intepretation of focal length on its zoom scale. The PowerShot SX700 HS has a 16.1 Megapixel 1/2.3in compact sensor that produces images with a maximum size of 4608 x 3456 pixels. Its ISO sensitivity range is from 100 to 3200 ISO and in Manual mode its shutter speed range is 15 seconds – 1/3200. It saves images as JPEG files at one of two quality/compression settings and at the best quality SuperFine setting image size is on average around 6 to 10MB. 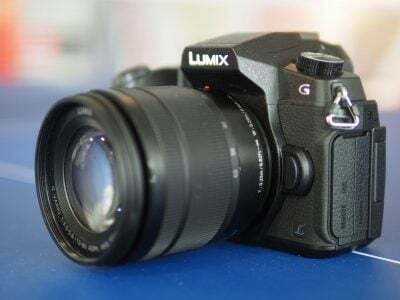 Of the three models tested here, only Panasonic’s Lumix TZ60 / ZS40 offers RAW recording. To see how the quality of the Canon PowerShot SX700 HS measures-up in practice, take a look at my Canon SX700 HS quality and Canon SX700 HS noise results pages, browse my Canon SX700 HS images, or skip to the chase and head straight for my verdict.